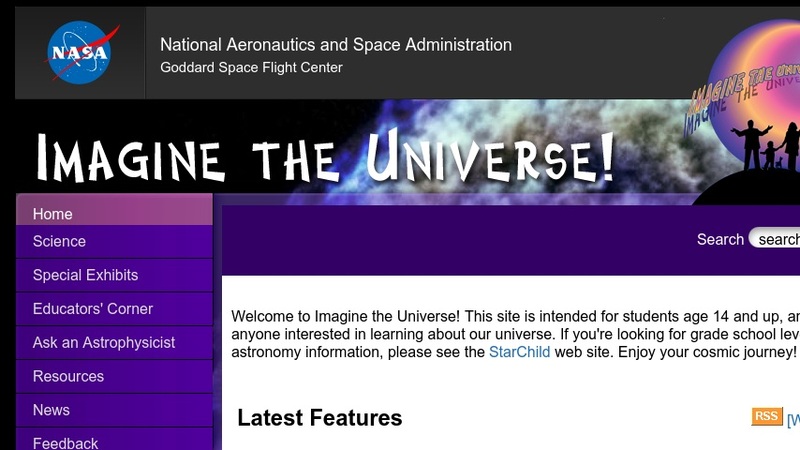 NASA's Imagine the Universe site features educational material for older students (14 and up). The materials include news articles, podcasts, multimedia presentations, and interactive features on astronomy topics, satellites and technology, and space missions. The site also features an "Ask an Astrophysicist" service, a dictionary, and links to other astronomy education resources. The teachers' page features links to lesson plans, posters and booklets, videos and slide presentations, and other resources.